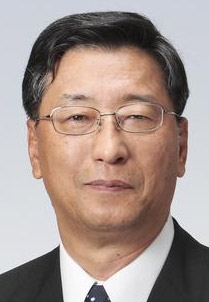 Yasumori Ihara Toyota's emerging markets operations before becoming Aisin Seiki's president in June. TOKYO (Bloomberg) -- A former Toyota Motor Corp. executive is telling the carmaker’s second-biggest supplier to raise its game across its auto parts businesses or risk being benched. Yasumori Ihara, who ran Toyota’s emerging markets operations before becoming Aisin Seiki Co.’s president in June, plans to decide by the end of the year on ways to better organize the company and its about 180 subsidiaries, which make everything from car seats to transmissions to brakes to body parts. Toyota and other Japanese automakers are putting pressure on their suppliers to become more competitive and avoid complacency resulting from the cozy keiretsu system in which companies form interlocking business relationships through cross-shareholdings. As Japan’s auto market shrinks and its carmakers expand overseas, they’re forming relationships with local suppliers in those regions and urging their suppliers to do the same. Aisin Seiki began restructuring its operations late last year, consolidating its brake businesses with Denso Corp. and Sumitomo Electric Industries Ltd. and taking over manual transmission development and production from Toyota. It also merged one of its affiliates with Shiroki Corp., and the two offloaded their seat-frame component business to Toyota Boshoku Corp. Since becoming an Aisin Seiki adviser in April, Ihara has visited 82 of the company’s offices or plants in markets including the U.S., China and South America. “I have the impression that there still are some redundancies and overlap in many of our businesses that I think need to be reviewed and taken care of,” said Ihara, formerly a Toyota executive vice president and director on its board. Depending on the conclusions from the review, the remedies may include seeking outside alliances, merging or exiting some businesses, he said. Aisin Seiki’s business from automakers outside of Toyota includes supplying transmissions to Fiat Chrysler Automobiles’ Ram pickup models and General Motors’ Cadillac sedans. Still, Toyota accounted for 64 percent of its 2.96 trillion yen ($23.8 billion) in sales for the fiscal year ended in March. The company swung from a profit record of 91.7 billion yen in year ended March 2008 to a loss in the next 12-month period amid the global financial crisis. Net income fell 14 percent to 77.3 billion yen in the fiscal year ended in March.